The increasing reliance on Gyproc’s lightweight high performance lining systems to meet demanding acoustic and fire safety standards in the Middle East hotel sector, has again been demonstrated at Doha’s new Ibis and Adagio Hotel complex. 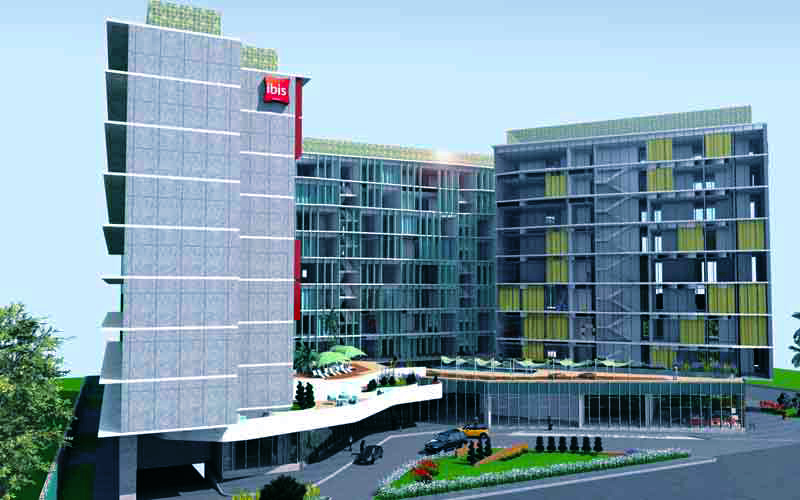 The new 300-room complex which, for the first time, brings together the Ibis and Adagio global hotel brands in a single location, is constructed over 9 storeys, with an additional ground floor mezzanine and two basement levels. A tight build schedule, high standards of fire resistance and the client’s requirement for tough 51dB minimum acoustic performance throughout the complex, meant that Doha-based consultants, Alonso Hernandez & Asociados, chose performance rated Gyproc lightweight partitions and lining systems, in preference to heavy blockwork for all internal walls and linings. Fit-out sub-contractors, Continental Interiors, installed a range of GypWall CLASSIC, GypWall QUIET and high performance GypWall AUDIO metal stud partitions throughout the complex to meet acoustic requirements and satisfy fire safety requirements, which called for a minimum of 60 minutes fire resistance, rising to 120-minutes for the upper floors. In bathrooms and other wet areas, partitions and separating walls between adjacent rooms were lined with Gyproc FireStop MR, a specialist fire resistant lining board with enhanced moisture resistant properties, which maintained the required performance whilst providing protection against damp and mold. To complete the specification, Gyproc MF concealed grid suspended ceilings were installed throughout, allowing level changes and accommodation of services within the ceiling plenum, whilst creating a robust and durable seamless monolithic ceiling appearance to guest rooms, corridors and common areas. As well as providing guaranteed levels of performance to meet all of the client’s requirements and regulatory standards, the lightweight Gyproc systems were easier and quicker to handle within the often limited access and space availability. This allowed for faster installation and earlier access for follow-on trades, saving valuable time and allowing the project to complete more quickly - a key requirement for a sector under pressure to deliver more hotel rooms, more quickly and to ever higher performance standards.